Sheena grew up in Cleveland. No, not Ohio, but North Carolina, and she lives there today. She is a country girl, born and raised in the South. She is southern through and through and pleased to say “y’all”. There is nothing slow about Sheena; after graduating with honors from West Rowan High School, she worked as a veterinary technician and considered veterinary school. In her relatively short career, Sheena has amassed significant experience. She worked in promotional advertising for several years and had a great deal of interaction with NASCAR. During her time in advertising, work took her to conventions and she traveled extensively around the southeast. Obviously, the NASCAR connection necessitated her vising all race venues. The promotion experience honed her people skills and introduced her to a wide range of personalities. Sheena moved from promotional advertising to retail pharmacy business. She is certified pharmacy technician and has customer service and retail management experience. Eventually she realized that even thought she enjoyed the customer interaction, she needed to escape the confines of a pharmacy and find a career that allowed her to be outside. As with everyone on our team, she had a lifelong love of animals, especially horses. Her family raised Appaloosas and she was on a horse with her parents before she could walk. 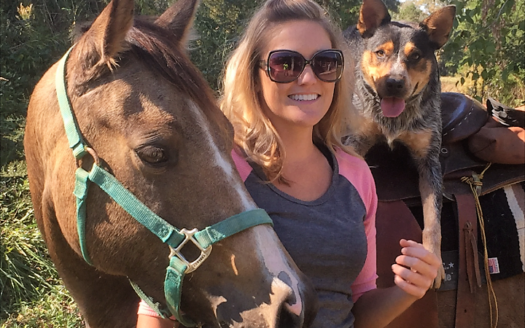 Riding remains one of her passions, and her spare time is spent with her horses Jazzy and Jetta. In her search for a career that allowed her to interact with people and regularly venture outside, real estate was a natural. After obtaining her real estate license she was introduced to Julie Breedlove and realized immediately that she was a natural fit for our team. Here she can use her engaging people skills, be outside regularly and stay close to first love, horses. For Sheena, it is truly the best of all possible worlds and we are happy to have her as a part of our team. Sheena is primarily focused on the I-40 corridor east of I-77, including the Winston-Salem and greater Greensboro areas.